Jim Emslie is a Partner and Managing Director of Synergy Advisors, LLC. He has significant experience in the origination, structuring and management of a variety of financing transactions having overseen everything from initial venture capital rounds to initial public offerings, as well as debt and equity offerings, bank financings and merger and acquisition transactions. Jim has advised senior executives and board directors on corporate strategy and transaction execution and has the benefit of hands-on leadership experience as CEO of a middle market distribution company and through various corporate management jobs. Additionally, Jim is or has been a member of the board of directors of Paul Frank Industries, Memorial Health Services, Goals for Life (with NFL Retired Players Association) and Child Net. Previously, Jim was a Managing Director and head of Banc of America Securities’ West Coast Middle Market Investment Banking Group. The Group was responsible for providing M&A and growth capital (equity and debt) advice to companies under $500 million in revenues. Prior to 1999 Jim headed up Bank of America’s Healthcare Corporate & Investment Banking Group. He founded the group in 1992 where he provided advice and financing to some of the largest healthcare companies in the U.S. He built their Healthcare Group into one of the largest units at Banc of America Securities, primarily targeting the managed care, provider and distribution sectors. Prior to his time with Banc of America, Jim worked at both Security Pacific Bank, in their Distressed Debt Group, and as part of Wells Fargo’s Financial Sponsors and Leveraged Finance Group. In addition to significant banking experience, Jim has entrepreneurial corporate operating experience. In 1984, he co-founded a start-up venture to acquire businesses in the home services sector, successfully raising start-up capital and completing 4 acquisitions. In 1988 he successfully acquired, and became CEO, of Teal International, an electronic office products distribution company. He began his career at Continental Illinois Bank in their international banking group and was based in Caracas and Madrid. He also held banking positions for Security Pacific Bank in their energy and middle market banking groups. 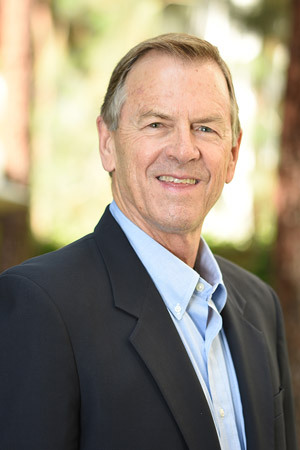 Jim has a masters degree from the Thunderbird Global School of International Management and an undergraduate degree from San Diego State University.